Members of Chats Canada Cats believe it is high time for the Canadian public to have a benchmark of expertise, knowledge and quality when it comes to acquiring a cat. Whether it is a purebred cat or not (there are different schools of thought and resources), foremost, there must be coaching of concrete practical measures, validation of existing information and an organization capable of improving the Canadian pedigreed cats to protect future owners. Canadian Animal Pedigree Act addresses many of the concerns about the control of feline overpopulation, control the quality of cat production by starts a self cat breeders system. The Chats Canada Cats is the first and only feline organisation in the country to seek the incorporation of cats under the Animal Pedigree Act, as dogs have been for several years. We believe that this is a first step to a lasting solution to the various problems experienced in the Canadian feline world. As a buyer, demand a purebred cat with a registration certificate and an authentic pedigree from Chats Canada Cats! If you want a domestic cat, you should expect a cat with an identification certificate from Chats Canada Cats! Where is the CCC involved? The CCC is the only Canadian feline organization seeking the incorporation of cats under the Animal Pedigree Act and to be recognized as such by the federal government. 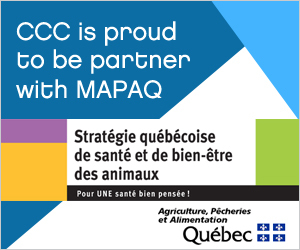 The CCC was present at the Table de concertation sur le Bien-être animal until it was closed in 2015 and now represents cat breeders and owners in the Stratégie québécoise pour la santé et le bien-être des animaux at the Ministry of Agriculture (Ministère de l'Agriculture, des Pêcheries et de l'Alimentation du Québec - MAPAQ). A CCC legislative representative is designated to represent cat breeders as well as the feline cause with municipalities, especially in the search for solutions to feline overpopulation and the implementation of permits for catteries. The CCC is proud to offer a training school to present and future breeders. Help to start a feline club or purebred club. Training to become a ring clerk, a master clerk and a judge in exhibits. The CCC offers a wealth of resources to breeders. 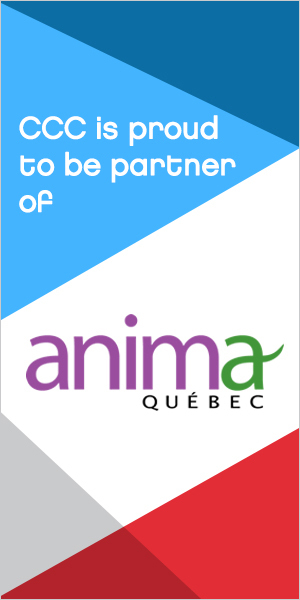 Particularly, registration of purebred cats, certified pedigree services, sale of microchips at competitive prices, production of feline exhibits via its affiliated clubs, implementation of breeders' programs with veterinarian, creation of web sites for breeders, access to a complete and regularly updated web site. The CCC offers a complete and regularly updated web site to inform the public about purebred cats and cats in general. The CCC is active on Facebook, Twitter and Instagram.